Harry has had a long association with the Nike Group of Companies and particularly with the Chairman John Nike OBE. They first met through athletics back in the early eighties at Bracknell Athletics Club, where Kathy, John’s daughter had just become a member, and Harry was already a star. Their common interest in coaching and developing young talent lead to a lifetime of friendship and respect. In 1997 he and John set up Nike Design Interiors, and worked together on the design and development of a diverse portfolio of projects. 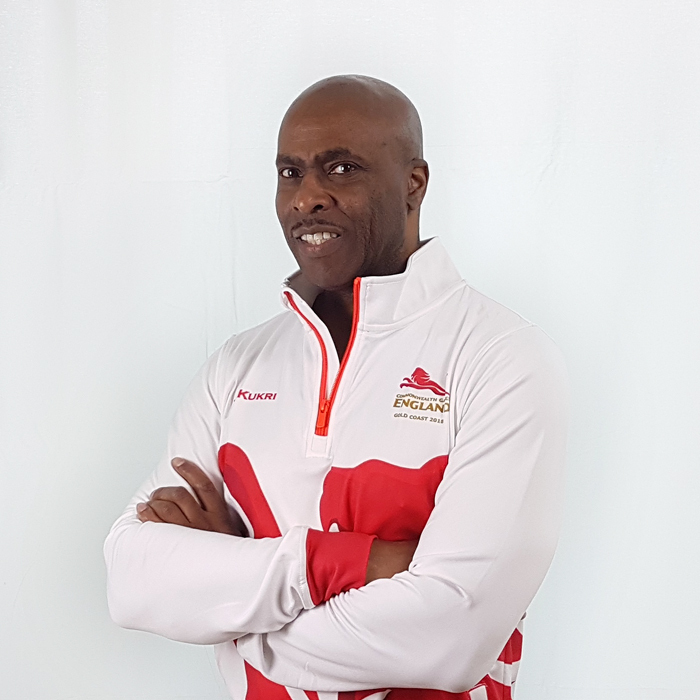 Harry’s career in sport rose to the highest levels; he is a former GB International Sprinter and British record holder who has also competed for his native Antigua & Barbuda. Locally some of his club records still hold today! Over his distance he was once forth fastest in the world! Harry later graduated from the prestigious UK Sport Elite Coach Programme in 2009. He has gained massive experience in so many facets of athletic training and is currently a Senior Performance Coach at Brunel University. As a result, Harry has been invited to Australia for the up-coming 2018 Commonwealth Games as the England Athletics Team Sprints Coach. The Nike Group of Companies wish Harry Many Congratulations on this achievement and are happy to support him while he is away.